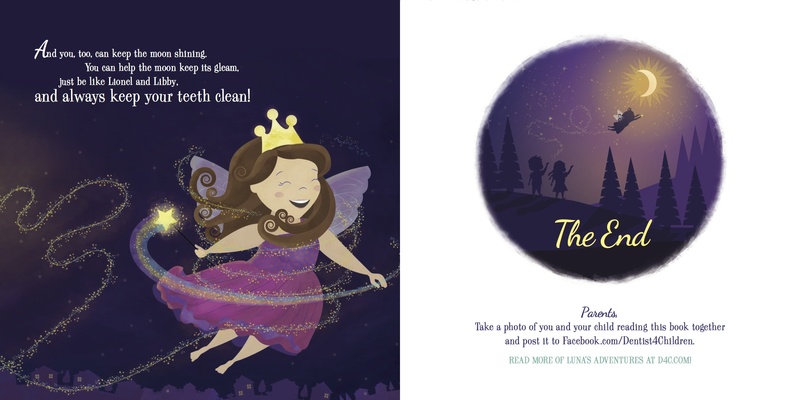 To help educate children about oral hygiene, MMI developed a books series for Dentistry For Children featuring a lovable character, Luna the Tooth Fairy. 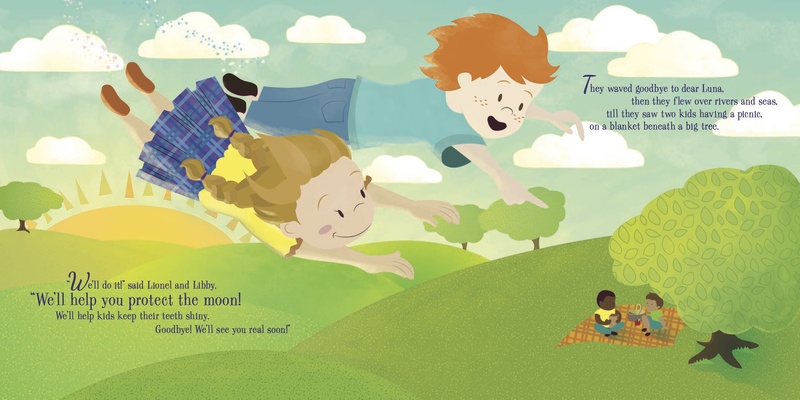 For the third installment, I got to throw my hat in by developing a new storyline incorporating Luna and her friends, Lionel and Libby. 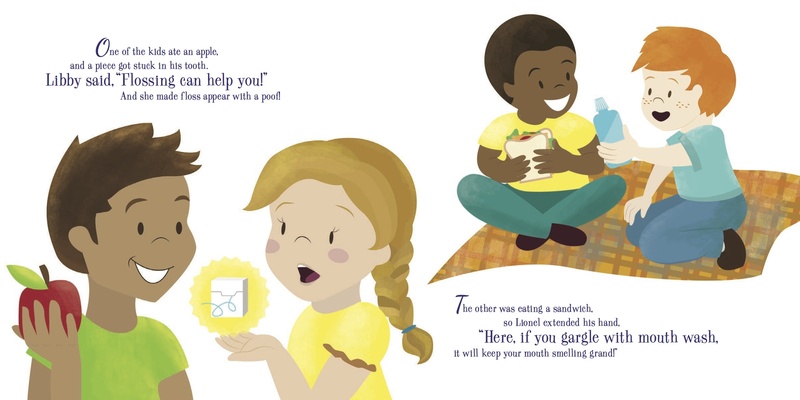 The following are excerpts from the 15-page fully illustrated book. 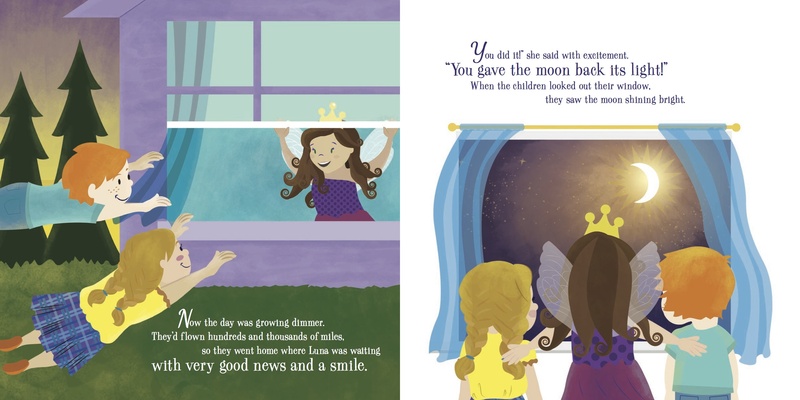 The story focuses on a major tooth crisis: the moon, which gets its glow from the shiny teeth collected by Tooth Fairies, is losing it’s brightness. 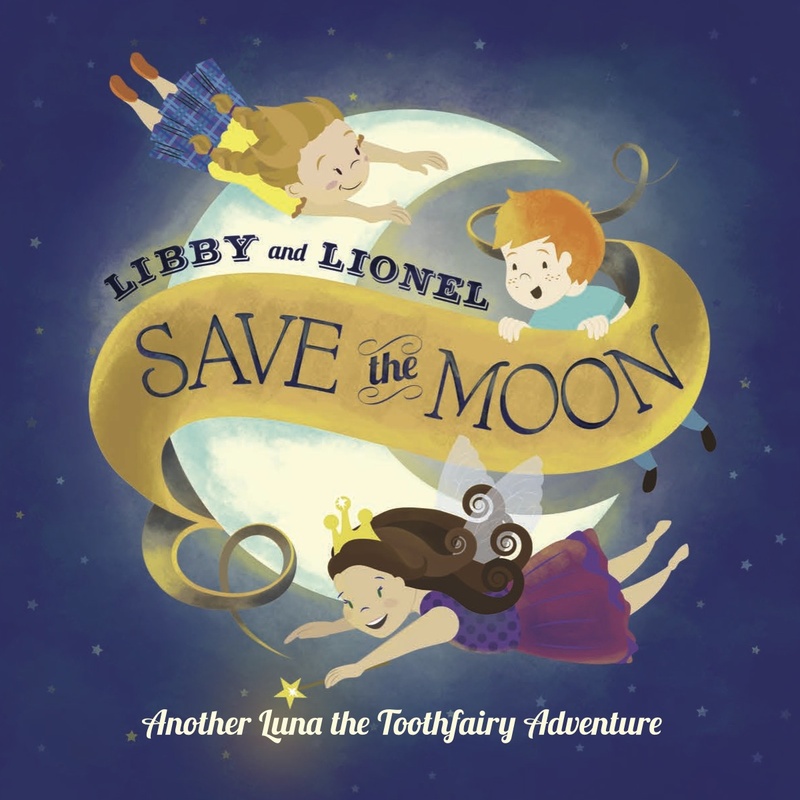 Luna needs to tell kids about dental hygiene, and asks Lionel and Libby to help her. 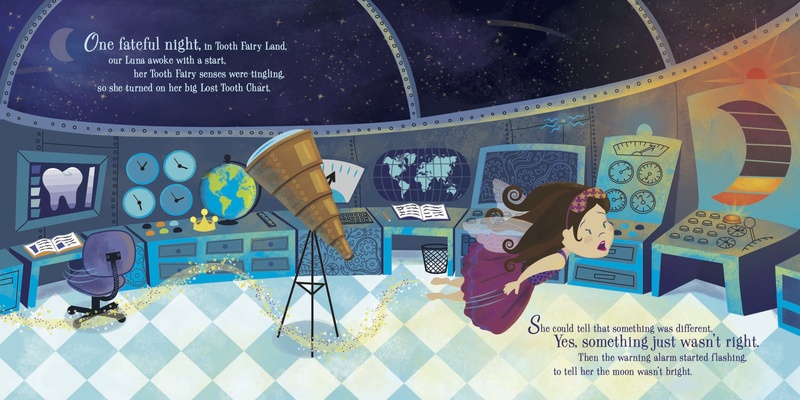 Unfortunately this never went to print and is unavailable for purchase.